Comments on 'Diamond Nanothreads' Now, Someday Space Elevators? 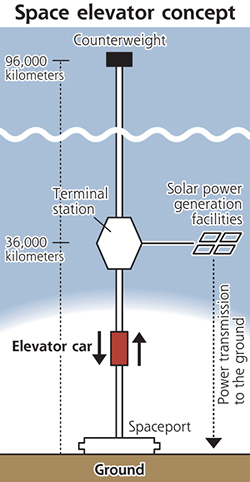 "Will Japan build a space elevator? This is their concept. "Also, take a look at this concept for a rotating space elevator." Get more information on 'Diamond Nanothreads' Now, Someday Space Elevators?